Rev. 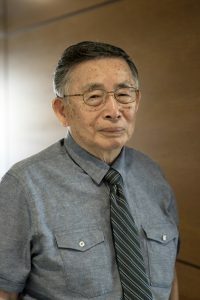 Dr. Yamoka is a retired Jōdo Shinshū Hongwanji-ha overseas minister and former bishop of the Buddhist Churches of America. Shin Buddhist Education: A New Perspective, Institute of Buddhist Studies and BDK America, 2017. “Amerika deno Shinshu Dendo: Shukyo Kyoiku toiu hitotsuno Hohoron wo Toushite,” No. 44 Bulletin of Intsitute of Buddhist Cultural Studies Ryukoku University (Kyoto: 2005). “Shin Buddhist Ministry: Working with issues of Death and Dying,” Buddhism and Psychotherapy Across Cultures, Mark Unno, ed., (Boston: Wisdom Press, 2006).